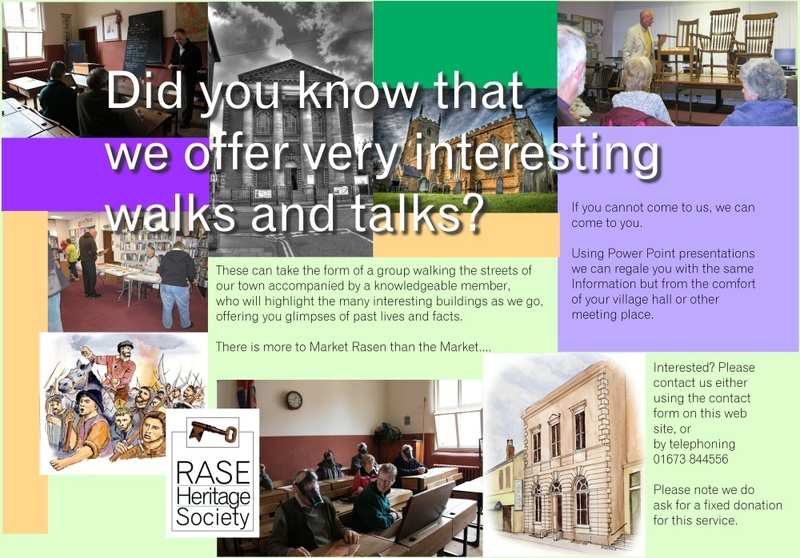 This is a snapshot of Market Rasen Life as it approaches the outbreak of the First World War. NOTICE – John Reeve & Co, Builders and Contractors, have several good Cart MARES and GELDINGS and two trotting van HORSES for disposal, also two good COBBS. Ages of these horses and mares are from 5 to 8 years, height 4 to 16 hands. Reason for selling, owning to builders strike and slackness of trade. Also two Heavy cart MARES, recently bought and proved in foal. All these horses and mares are warranted quiet and sound, and good workers in shafts and chains. Prices £17 to £35. Twenty-one days’ trial allowed to purchasers- Address, adjoining Uxbridge Road Station, Shepherd’s Bush. Telephone 1369 Park. Selling a long way from home! Under the auspices of the Market Rasen Women’s Liberal Association, a meeting was held at the Liberal Institute to hear an address by Mrs Tee of Grimsby. The Chair was occupied by MR G E Oldeadow, of the Free trade Union. Mrs Tee proved herself an eloquent advocate of this new organisation. NB The Chair is a man! 8 Ingersoll watches, 1 fountain pen and 1 pocket book were taken. The Police believe that the thieves entered by the Skylight, they also tried to beak into the booking office but were unable to take anything. The Police stopped M Canavan of Leeds and JR Nicholson of Deptford in Town and searched them- finding the stolen goods worth 47s. The town’s newspaper still using the front page for adverts and reporting on local news on sporting events, concerts and garden parties. The monthly reports on Vagrancy, Union Council, Caistor Board of Guardians, and petty sessions. There are still reports on The Diphtheritic Outbreak, still in everyone’s thought as it is reported in the paper that Dr Torrens was going on holiday for the a few weeks. There was a serious accident at Walesby Road Sawmill… Harry Jackson a sawyer had a wood splinter from a roof go straight thorough his wrist. Thunder and lightening causing problems… several farmers stated that sheep, lambs and horses had been killed by the weather. Dr Edwin Barton died in Cleethorpes, he was the eldest son of Maurice Barton. Dr Edwin had worked with his father and brother in Practice in Market Rasen for many years. He is also remembered as a gifted musician playing the violin and cello. The front page as usual- full of adverts for town and local shops and traders. De Aston School sports day report listing the boys who won races. An Exhibition of handiwork at Sheffields Manor School report on the girls work. Young Ladies’ Seminary, Miss Hay, Principal. Great Britain declares war on Germany after Germany invaded Belgium. The front page the same as last week. Reported that the 1st draft of Reserves and Territorial left by 11.18 train on Wednesday, “some pathetic scenes were witnessed”. Thursday last … trains of motor stores and baggage wagons passed thorough Rasen on route to Louth. 5 ex Boy Scouts offered to be despatch carriers. Parish constables to be used to guard railway bridges. Liberal Association offered their Club to the Government disposal. There were also the usual reports on the following items; local flower shows, Caistor Board of Guardians Report, Petty sessions, and sports activities. Advert for August 20th A working party for assisting those suffering from the war to meet at 2.30 pm at the White Hart. The front page the same as last few weeks. There were reports ranging from what was happening on the stock market, to who won the latest tennis tournaments. Prince of Wales’ National Relief Fund. There was a long list of people who had subscribed. Horse supply on mobilisation, who had purchasing authority. Protection of farm crops from Aliens was discussed. Recruiting in Horncastle. First Aid course and sewing and knitting Bees for the troops started. The War is on the front page, less adverts and the report on the death of Pope Leo X111. Other pages reports on:German spies, A Fire at White Swan Hotel, a dropped cigarette or match caused the fire which resulted in £10 damage. meeting Red Lion last Wednesday, John Hackney proposed to form a company of the Civilian National Reserve. Committee of J Hackney, A Creasey, F Good, E Goodyear and G Matthews. W Hall will take on duties as Drill Instructor and Ex-Sergt. Heath is to be in charge of ambulance section. The plan is to join with the local rifle club and eventually those eligible will join Lord Kitchener’s Army. First Drill next Tuesday evening 7.30 at the Foundry. Disappointing Recruiting in Market Rasen. Lord Kitchener’s Appeal “ a round up of out-to-work” Every fit man wanted, 19-30 , 5ft 3in, chest 34in, medically fit for the period of the war. Married men and widowers with children will be accepted. Market Rasen recruiting office is at the Police Station. 43 men from Market Rasen are listed. 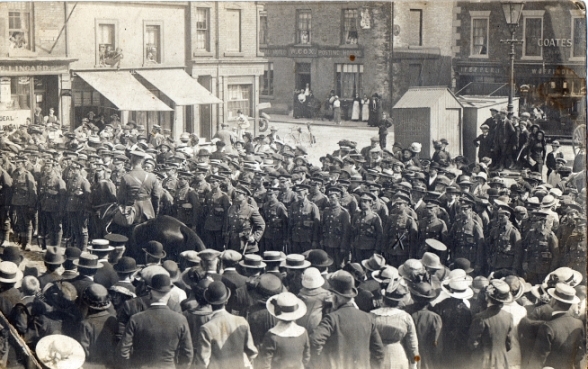 During this week recruiting in MR district has proceeded much more briskly than at any period throughout the war. On Tuesday morning four young men were despatched by Superintendent Rawlings to the barracks at Grimsby for enlistment in the Chums Battalion and it was significant to note that they all were married men. They were Albert Creasey the postman and Edward Goodyear and Ernest Hert, labourers all members of the MR Civic Guard & Henry West labourer Caxby. Three other recruits for the “Chums” Battalion were Joseph Cressy and Joseph Skayman Of Market Rasen and Frederick Vicker of Usselby dispatched Thursday. Friday, Quartermaster sergeant Wm H Canty of Market Rasen left to take up duty as an instructor. Walter Cassey postman at Birmingham, youngest son of (Mrs?) Cassey of George St to Birmingham City Battalion. Bernard Peatfield (old De Aston ) to East Kent Mounted Rifles.